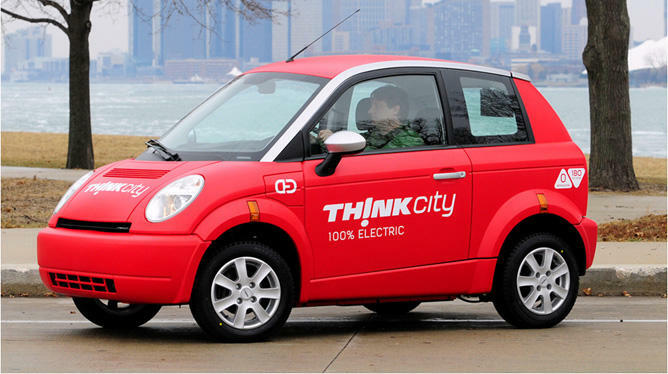 Where Does Your City Rank in the EV Revolution? Look out the window. How many EVs do you see on the road? Probably none, but that’s about to change in the coming years as mainstream automakers begin to roll out their all-electric offerings. Some cities will catch on more quickly than others depending on a number of factors, including infrastructure support and overall market fit (a catch-all term that includes factors like hybrid sales, traffic congestion, and air quality). To that end, EV maker THINK developed a list of the top EV-ready cities in the U.S. Is your hometown on the list?